Barry Turner writes: I grew up in the two-story store to the left. Before my time, it even housed a movie theater (part of the screen was still visible upstairs). As a child, I was exploring on the roof and found a World War II era air-raid siren still bolted to the roof–but it wasn’t still functional. An episode of the TV show Route 66 was filmed in Nevils, and they used our store, among other locations. I remember playing with Darby Hinton, a child actor who later was Daniel Boone’s son on that TV show. The “Main Street” was dirt for part of my childhood, but the paving crew (when it was finally paved) provided eager customers for me as I sold boiled peanuts to them. I remember going to see a film in the little theater over the store with my parents, Charlie & Nina Hodges, of the Nevils community. I’m thinking it was 1949-1950? maybe. I was probably around 4 yrs. old. A dark, scary jungle film was showing. Not many seats up there but on that night all were taken. I grew up in the two-story store to the left. Before my time, it even housed a movie theater (part of the screen was still visible upstairs). As a child, I was exploring on the roof and found a World War II era air-raid siren still bolted to the roof–but it wasn’t still functional. An episode of the TV show Route 66 was filmed in Nevils, and they used our store, among other locations. I remember playing with Darby Hinton, a child actor who later was Daniel Boone’s son on that TV show. 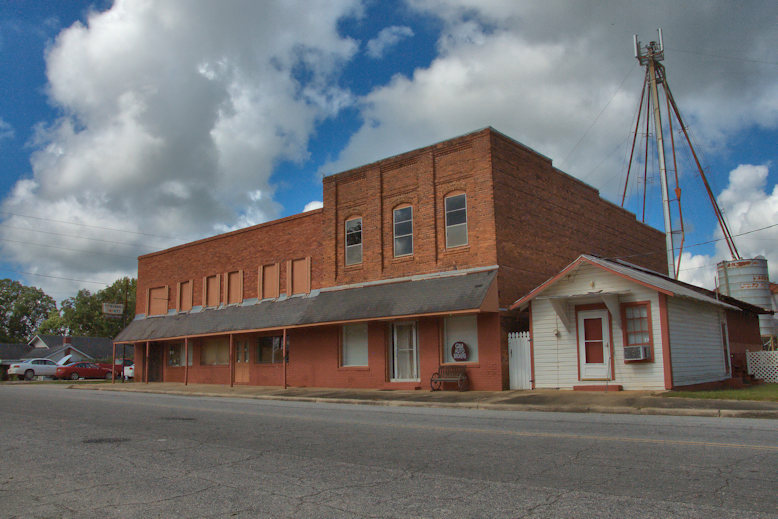 The “Main Street” was dirt for part of my childhood, but the paving crew (when it was finally paved) provided eager customers for me as I sold boiled peanuts to them. Just some tidbits that might be interesting to you.